WARNING: NERD ALERT. NERD ALERT. 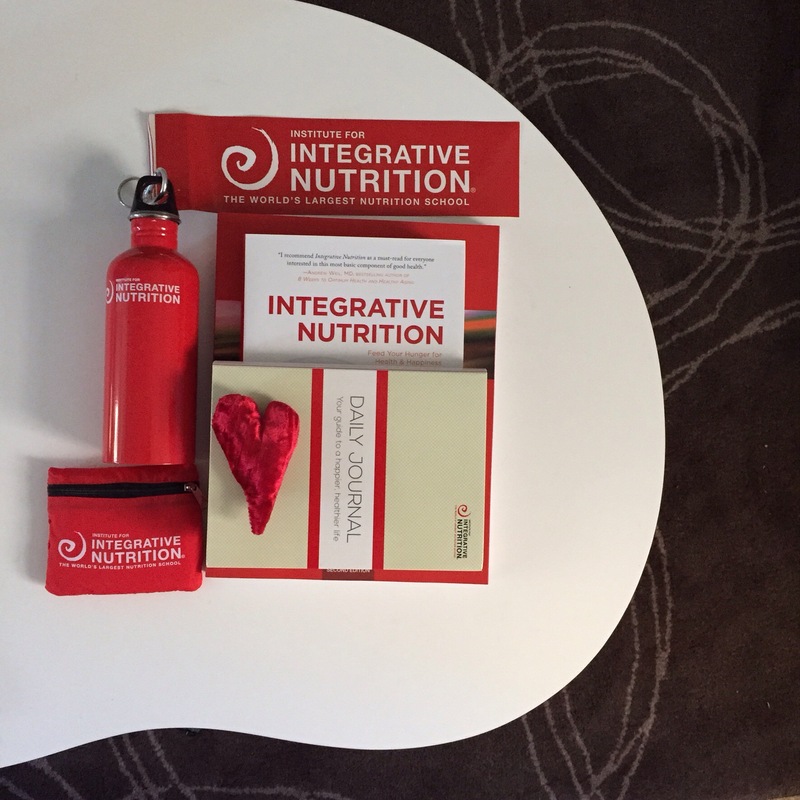 This week I commenced my studies to become a Health Coach through the Institute for Integrative Nutrition. My first assignment is to tell my family & friends what I am doing!! My studies will take up about 5 hours a week, time that was previously spent idly scrolling through instagram, procrastinating (& a fair bit of procrastibaking) & completing chores more slowly than required. I have set up a study nook at home where I will endeavour to always be focused. I considered using my bed for study, but due to my propensity to fall asleep once I get within a metre of the bed, I figured I had best select somewhere upright & with no warm blankets or my beloved books. According to the lectures I have watched so far, I may experiment with being raw-vegan & often in the case of vegos, experiment with meat (unlikely in my case, having been pescetarian for nearly 18 years). My intentions – I feel that by publishing them online, I am less likely to go back on them, because what is said on the internet is always true, right? I want to become a Health Coach. Why? I believe there is a place for conventional medicine. Many of my family are Doctors & Nurses, & I cannot stress how much respect I have for them. I don’t feel I could ever do their job. I believe there is a place in society for people who can ease the burden on the healthcare system by assisting people with “food as medicine”. Do you as a taxpayer, want to help fund thousands of people whose conditions could be significantly reduced through what they eat, avoiding additional stress on our Doctors & Nurses? I want to educate people, children especially, & make people enjoy healthy food & a style of eating individual to them, IIN’s approach is that everyone is different so where 5:2 may work for my parents, my sister & her boyfriend are perhaps better suited to a high fat, high protein diet; & my brother is a mix of Paleo with a few other foods he needs to avoid. That’s enough food for thought for tonight (pun intended). Thank-you all for your support on this exciting new journey. This entry was posted in Health Coaching and tagged australian health coach, career, health coach, holistic health coach, IIN, institute for integrative nutrition, joshua rosenthal, nourish yourself, physical activity, primary food, relationships, spirituality, sydney health coach by 6 Clean Ingredients. Bookmark the permalink.